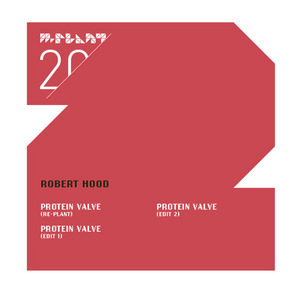 The Floorplan project show-cased Robert Hood's love of gospel-tinged house, but as this, his latest release demonstrates, he remains a techno artist through and through. The Protein Valve record originally appeared on M Plant 20 years ago and like Hood's Internal Empire and Minimal Nation releases, became a blueprint for minimal techno. On the "Re-Plant" and "Edit 1" versions, nagging, insistent percussion and an eerie organ sound create a sense of drama. However, the old approach proves to be the most effective and the second edit remains closer to the original sound, with jittery hats, unsettling organ riffs and the wind whooshing past in the background.